The PilloBebe CorkiMat is made from natural cork, bamboo and cotton batting. Modules of 4, 6 and 9 tiles are available and each pad comes a part and connects with velcro strips. The covers are made of 100% GOTS organic cotton. The covers can be removed and washed. 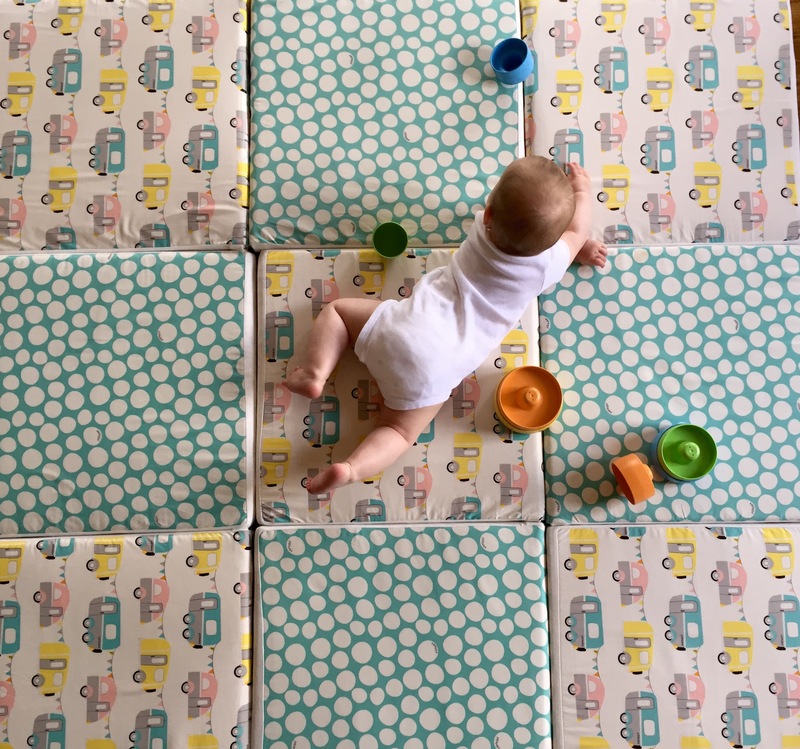 The pads are thick and provide lots of cushion while also offering a firm play area for baby to sit, crawl, roll and play. Pictured above is the Campers & Pebbles Yellow mats. The product was invented by two parents who wanted to create a place to play that is eco-friendly, made of natural materials and handmade. Here is the link to their Etsy shop.